Have brow problems? Me too. It is a sad fact but I try to be as upfront about it as I can on the blog especially. Because you guys understand me. I’ve tried & reviewed so many brow products recently (check out a bunch here) but I seem to be always on the lookout for the very best. & when it comes it beauty I always recommend It Cosmetics. 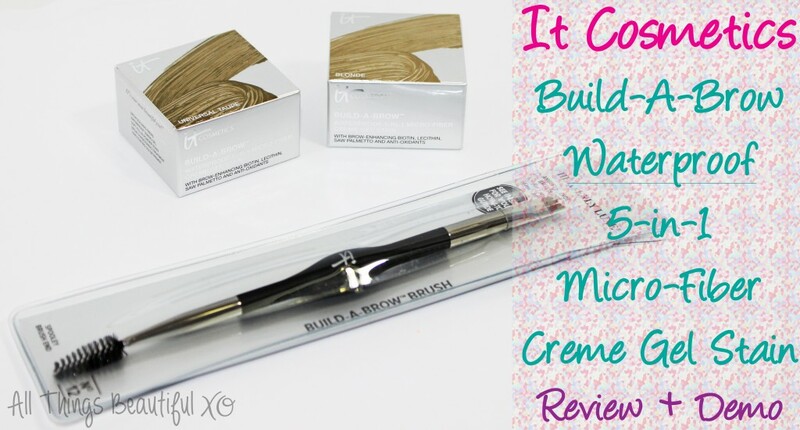 As a brand It Cosmetics is a league of beautifying scientific geniuses so when I had the opportunity to check out the new-ish It Cosmetics Build-A-Brow Waterproof 5-in-1 Micro-Fiber Creme Gel Stain & It Cosmetics Heavenly Luxe Build-A-Brow Brush #12 I was all about that eyebrow life. Keep reading to check out this ridiculously innovative product! What is it: Build-A-Brow Waterproof 5-in-1 Creme Gel Stain combines five different technologies that help you to create, shape, and define your eyebrows. It’s your building fibers, taming creme gel, fill-in powder, and long-wear stain all in one step! 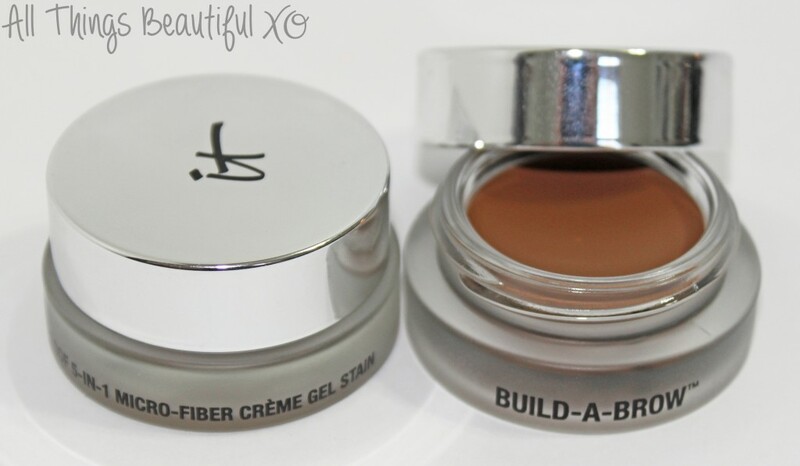 This waterproof, 24-hour-wear, budge-proof formula is housed in a glass jar with a specially designed lid. Who is it for: Anyone who wants to create natural-looking brows that last, even if you have sparse or missing brows. Anyone who wants to add color and tame brows in one step. Anyone who wants natural-looking brows that help to create a perfect frame of symmetry for the face. Why is it different: Utilizing cutting-edge technology unique to IT Cosmetics, Build-A-Brow is infused with brow-enhancing ingredients. It adheres to your skin to help create the look of real hair even where there isn’t any. This long-wear stain is waterproof and budge-proof to last. Build-A-Brow coats every brow hair and mimics the look of real hair on the skin where brows are sparse or missing. The brush does the work for you, hugging each hair with its unique fence shape, helping to create the natural look of real hair. This Micro-Fiber Creme Gel Stain comes in 5 shades: Blonde, Universal Taupe, Dark Brown, Gray, & Auburn. 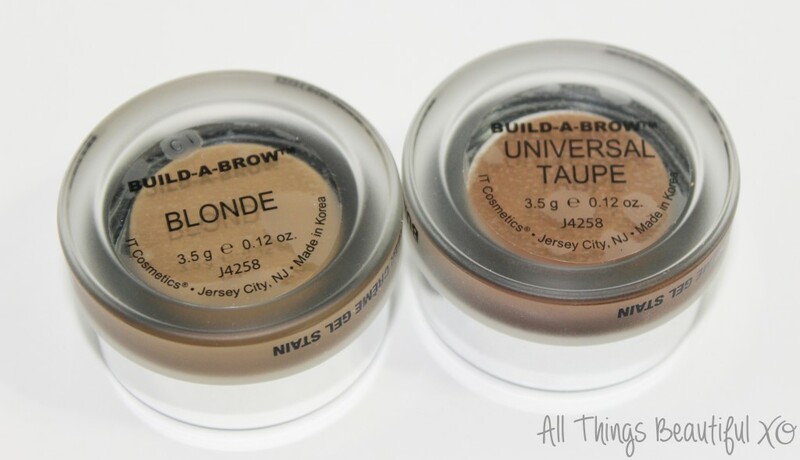 I have both Blonde & Universal Taupe. Normally I use two shades on my brows- one lighter for the front inner part & one more taupe/slightly deeper for the arch & out. On me, the blonde looks maybe a tad mossy? I’m finding now that the Universal Taupe looks more natural on me but my photos below are using both. You guys can tell me if it is just my imagination or not? Uniquely designed to deliver a precise, even stroke that is perfect for building a flawless brow. This revolutionary dual-ended brush builds, fills and defines your brows to create a perfect, natural look. The innovative, custom-cut fence brush bristles do the work for you and apply strokes that look like real hair. 100% Cruelty Free Pro-Hygienic. The brush is possibly the most brilliant thing ever invented for a gel or cream brow product. The way that it is cut…the amazingly comfortable ball-type handle grip…the included spooly…all of these things make this a new must-have. 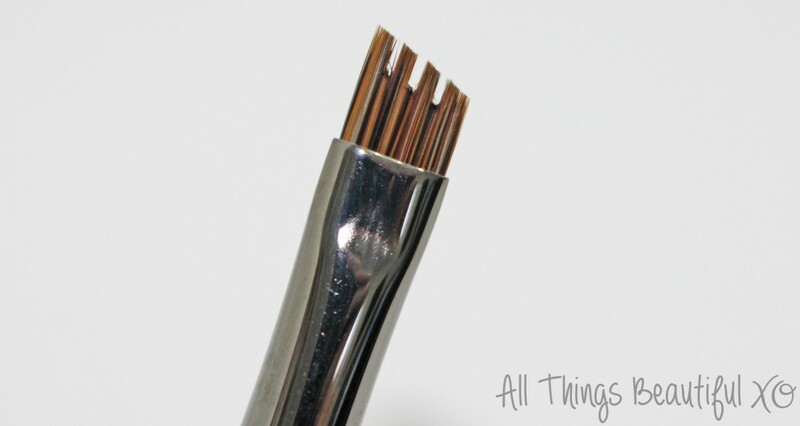 It is significantly firmer that my other brow brushes which had me worried things might go on too heavy-handed but with the slots there it does something to really make the product look natural or bold depending on your preference. Normally I can’t help but go straight to bold with creams/gels on my brows so this was quite the find! I have a pretty decent patch from a scar on my eyebrow & I find this totally helps hide it! These fibers (which I can’t see but must be there somewhere!) combined with a controlling cream that stains all day is some kind of witchcraft for my brows. & in this instance I’m all about that voodoo baby. 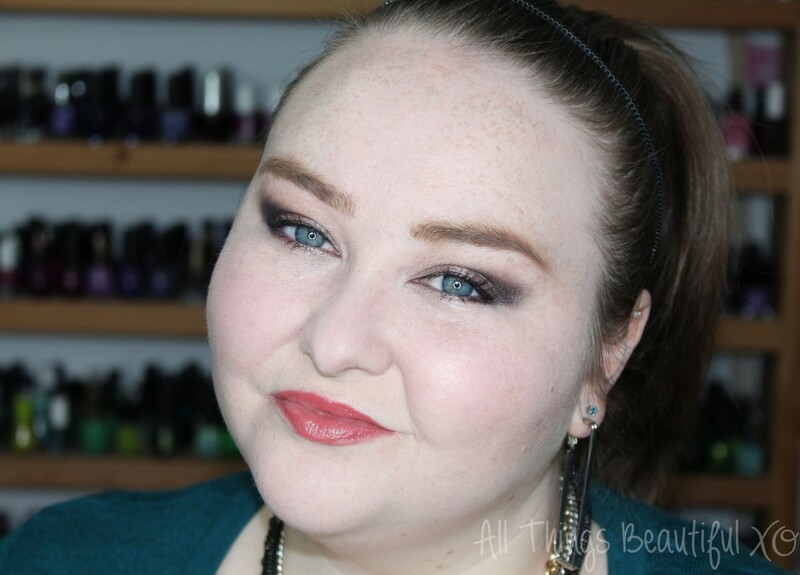 You can see what I mean about using both shades here- I just think the outer half of my brows look better color-wise? What do you think? Here’s a closer look which always looks totally alien but I feel like if you’re going to talk about brows you should get all up in there right? & wow do I like this eyeshadow look. 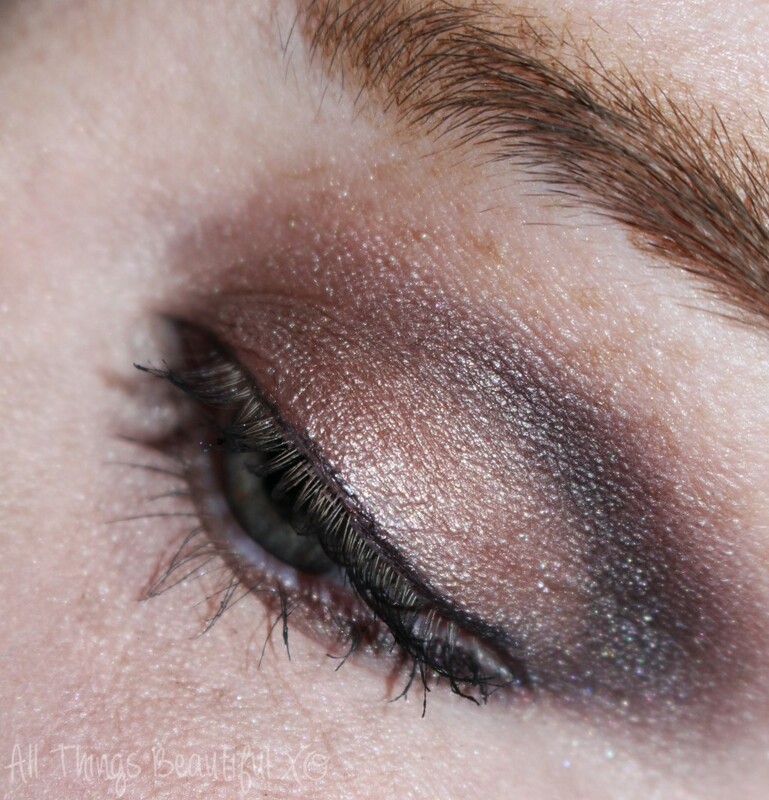 Check out the full tutorial for my eyeshadow here by the way! Currently you can purchase the It Cosmetics Build-A-Brow Waterproof 5-in-1 Micro-Fiber Creme Gel Stain & It Cosmetics Heavenly Luxe Build-A-Brow Brush #12 as a duo pack for an incredibly reduced price from the QVC website here. If you want my opinion- that’s the way to do it! You can also purchase the It Cosmetics Build-A-Brow Waterproof 5-in-1 Micro-Fiber Creme Gel Stain on its own from ULTA here & the It Cosmetics Heavenly Luxe Build-A-Brow Brush #12 is available at ULTA as well. But really- I highly recommend buying them together! So what do you guys think? Have you ever seen any brow technology quite like this? What are your favorite kind of brow products- creams, gels, powders, or pencils?